Available power sliding sunroof with sun shade cover. New 6.3" full-colour LCD multifunction display gives you useful information in an easy-to-understand view. The cargo area has been reengineered for even more space and versatility. The 60/40-split flat-folding rear seats now fold even flatter to better accommodate larger items such as bicycles. The cargo volume has increased as well, and the tailgate features a wider opening to make access easier than ever before. Standard features include a cargo cover, hooks and tie-downs, as well as roof rails up top for even more capacity. 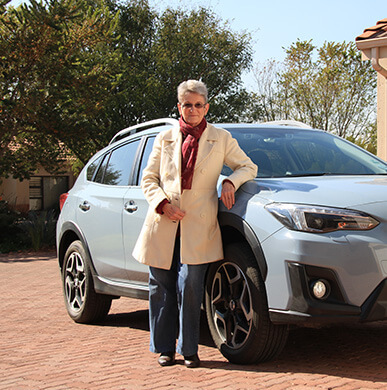 At the core of the Subaru XV is the stuff of legend. A Subaru Boxer engine that has been reengineered for the new model year. The legendary Subaru Symmetrical full-time All-Wheel Drive System. 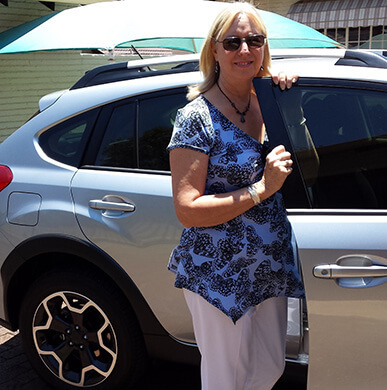 An even lower centre of gravity created by the new Subaru Global Platform. And a long-travel independent suspension developed over decades of road racing and rallying experience. 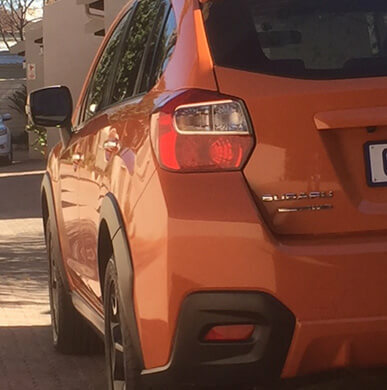 This core technology is the reason why the XV delivers superior handling and all-road/all-weather capability, as well as a level of confidence behind the wheel unmatched in its class. 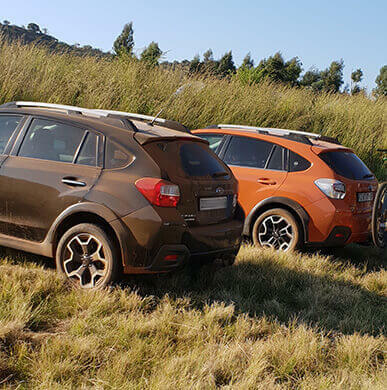 Permanent Symmetrical All-Wheel Drive (SAWD) delivers power to all four wheels at all times, ensuring enhanced control of the XV on or off-road – even in poor conditions. The entire drive system, from the Boxer engine to the rear differential, is mounted in a straight, symmetrical line, delivering the XV 's stability and balance. 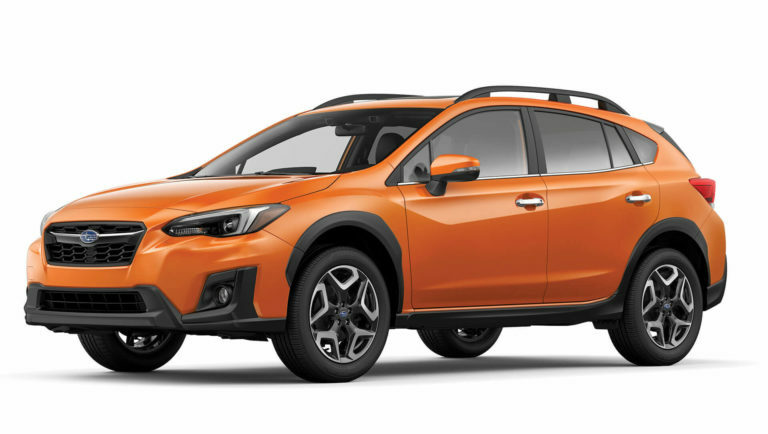 The new Subaru Global Platform sees dramatic increases to body rigidity through the use of more high-tensile materials. Other benefits of this advanced platform include reduced twisting forces on the frame and body through the suspension system. This, in turn, creates a smoother and more comfortable ride, highly responsive and precise steering, excellent straight-line stability and low levels of noise and vibration. When the X-Mode system is activated, Hill Descent Control automatically maintains a constant speed when travelling down steep declines. With this feature, the driver can focus exclusively on steering and negotiating curves in the road, confident that all the braking and speed control requirements are taken care of. The combination of a world-class all-wheel drive system, striking agility, superior visibility and class-leading active safety systems gives the XV excellent evasive capabilities. 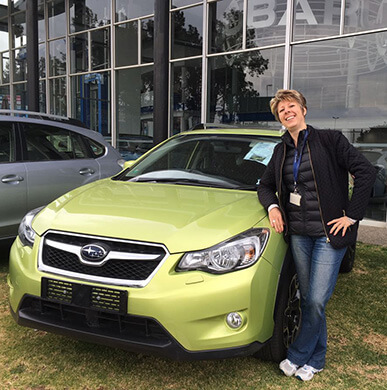 Next-generation technologies used in the EyeSight advanced driver assist system, the Subaru Rear/Side Vehicle Detection System and ABS represent the critical first line of defence – and the best way to avoid a potential accident in the first place.